This pretty rose flower arrangement will add a wonderfully vintage country look to a room. 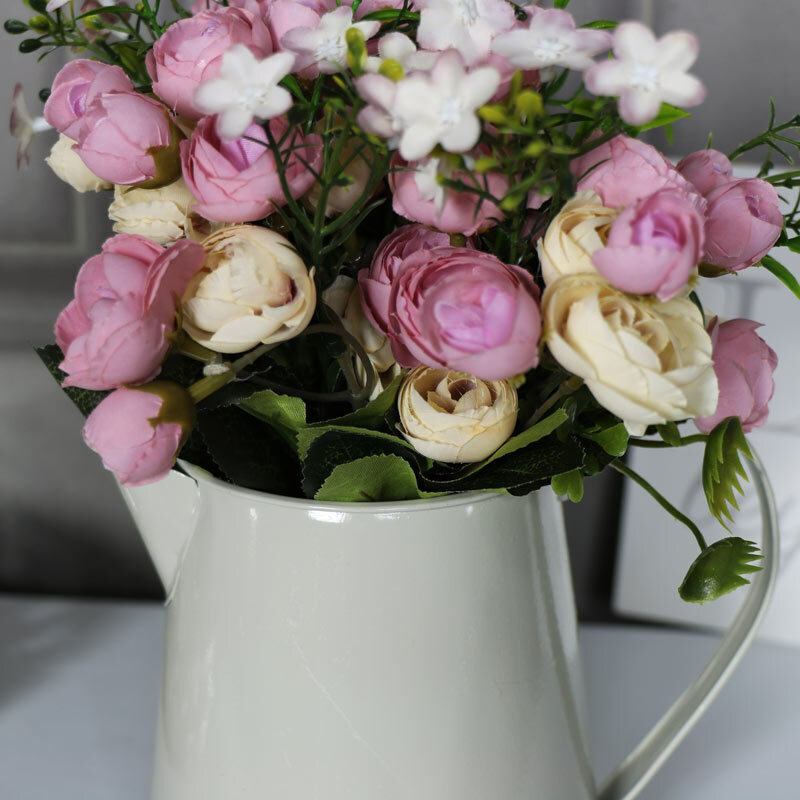 A stunning arrangement of pink and cream roses with little white flowers sat in a lovely little cream jug. A great way to add a greenfingered touch to a room with the mess or the maintenance. This rose arrangement looks incredibly realistic and would look perfect sat on a shelf or in a windowsill. Perfect for using as a wedding centrepiece or a great gift idea for friends or family. 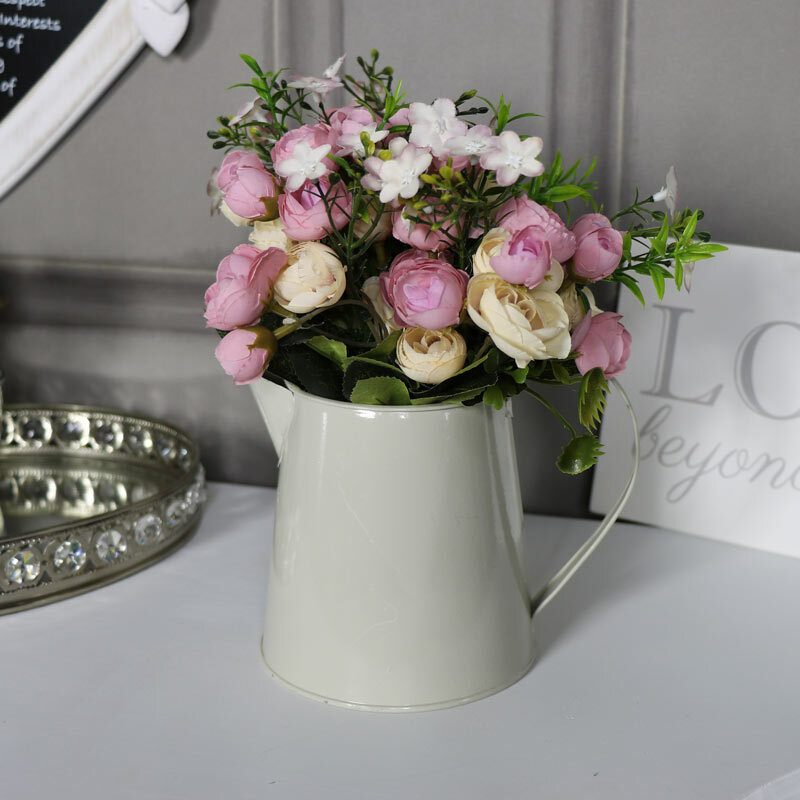 This pretty rose flower arrangement will add a wonderfully vintage country look to a room. A stunning arrangement of pink and cream roses with little white flowers sat in a lovely little cream jug.